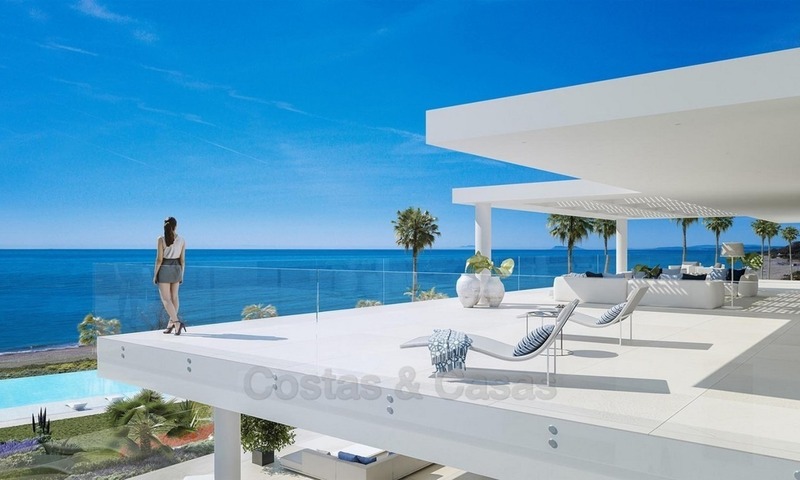 Apartments and penthouses for sale in Laguna de Banus, Puerto Banus – Marbella Laguna de Banus is a 5* luxury beachfront complex located at short walking distance to the harbour and central Puerto Banus. A pedestrian boulevard along the beach connects the beach promenade of San Pedro with Puerto Banus. In the immediate surroundings of Laguna de Banus you will find e.g. the 5* Guadalpin Hotel, the famous beach clubs of Mistral Beach, La Sala beach and Ocean Beach, as well as several beach restaurants. The frontline beach complex consists of only 40 apartments. Ground floor apartments, penthouses and bungalows which have their own private plunge pool. 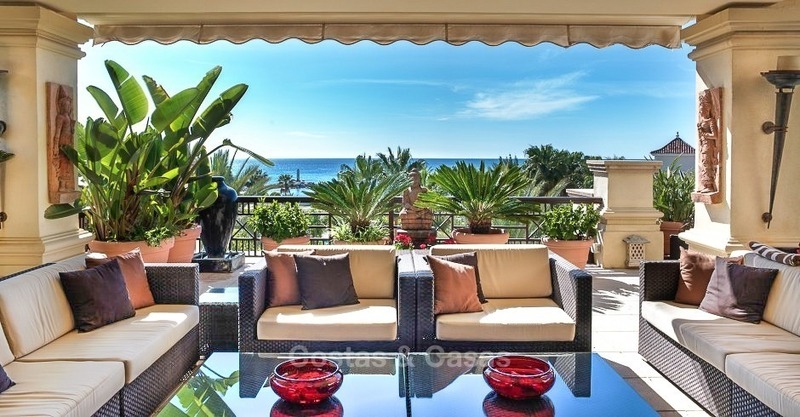 Panoramic sea view modern apartment penthouse for sale in Benahavis, Marbella The apartment is positioned with uninterrupted views across the golf courses below, and in the distance the sea and beaches of the Costa del Sol. On a clear day you can expect to see as far as the African mountains and Gibraltar. The urbanization is surrounded by world class luxury resorts at every turn. 2 luxury swimming pools located at either end of the gardens with manicured tropical gardens, 24hr security and underground parking. Golf courses with idyllic views. 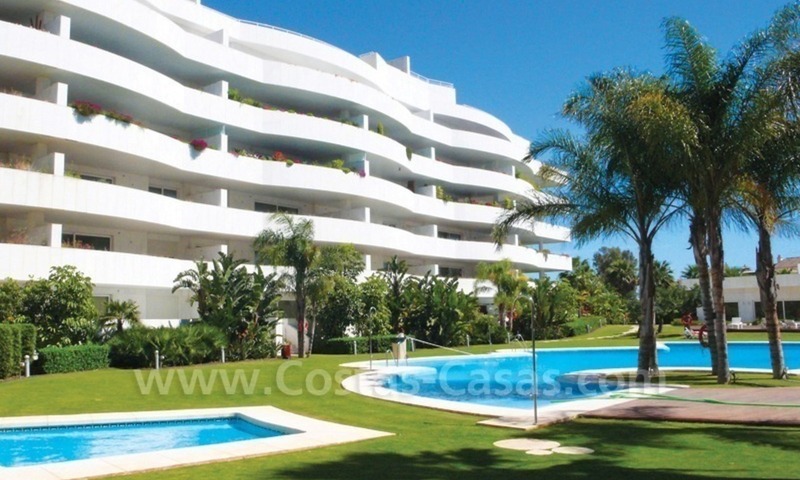 Modern and Luxury penthouse apartment for sale, Golden Mile, Marbella. 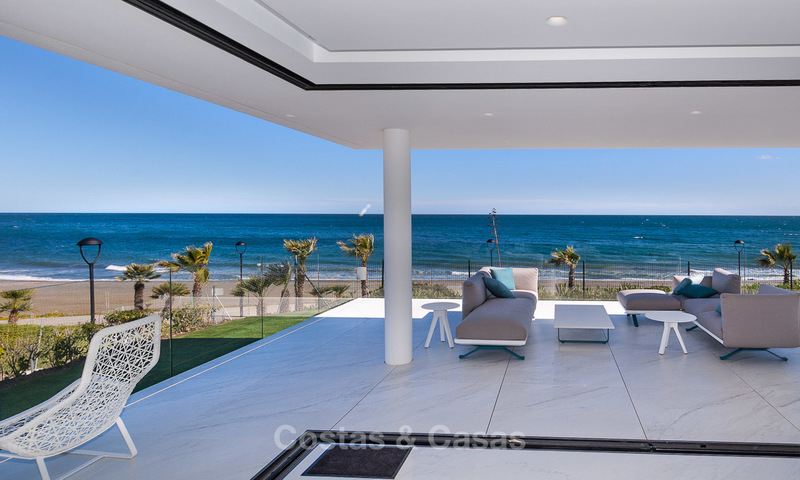 Only 2 minutes drive to the centre of Marbella and the Golden Mile. 3 bedroom ensuite duplex penthouse. About 250m2 interior living space and 320m2 covered and open terraces. Sea and mountain view. 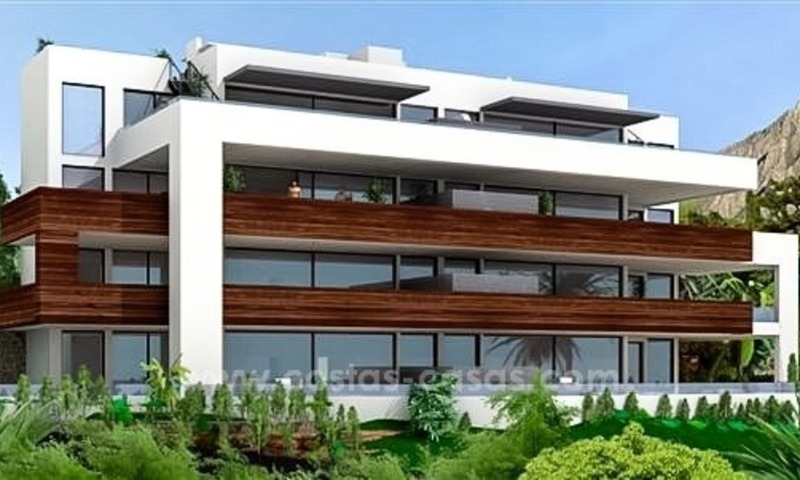 Luxury New Modern Apartments for Sale, Golden Mile, Marbella Closed and quiet urbanization with maximum security located on the Golden Mile, one of the most exclusive areas of Marbella. At walking distance to restaurants and the beach. New concept in Marbella: 8 luxury 3 bedroom apartments, each with a separate pool, innovative and functional design. The apartments have private gardens and terraces as well as an own pool in order to enjoy the unique and excellent climate that Marbella offers.